Live Classroom Review for the February 2018 PTOT Licensure Exam! LOCK- IN your slots! 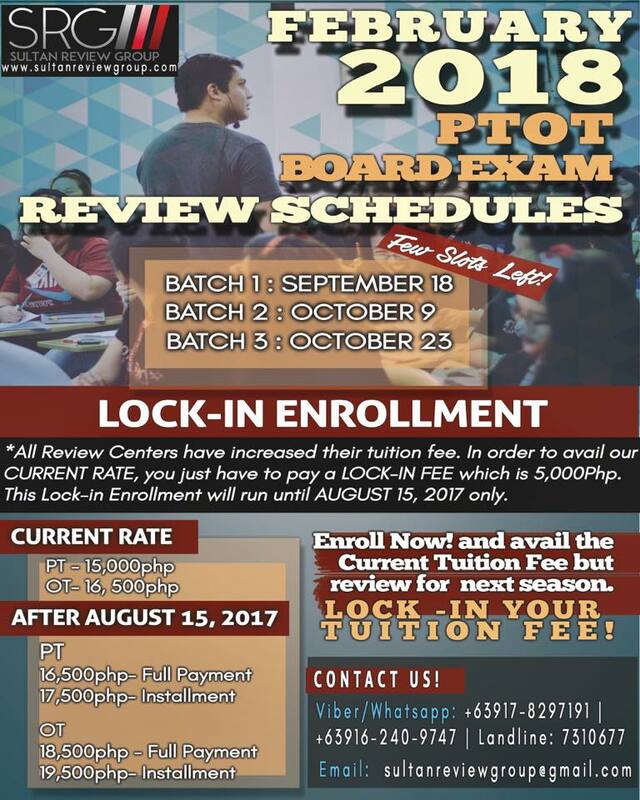 for the February 2018 PT-OT board exam review with the ORIGINAL and the BEST, Sultan Review Group! Next Entry:Season 3 Classroom Webinar Review February 2018 Boards!